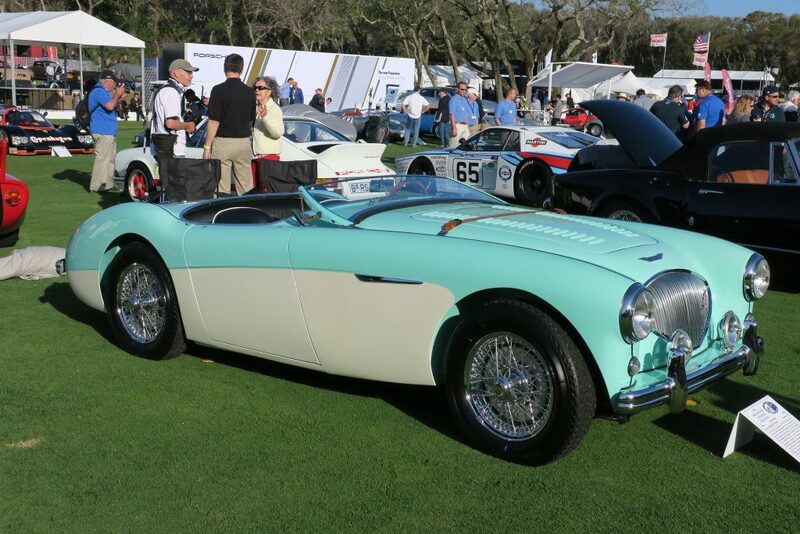 This 1955 Austin-Healey 100 BN2 was first displayed at the 1955 Earls Court Motor Show in the colors of Florida Green over Old English White, with Florida Green interior trim and upholstery. 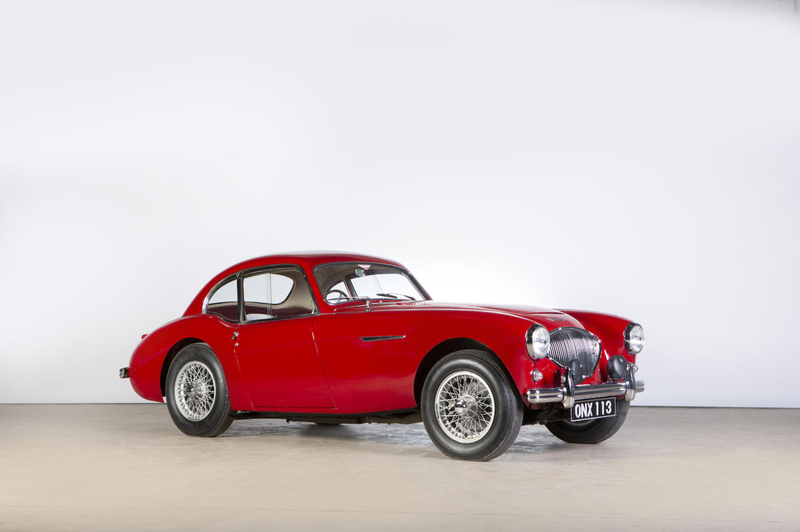 Recently it has been restored and Bonhams have the distinction of offering for sale at their Goodwood Festival of Speed sale on June 30th. 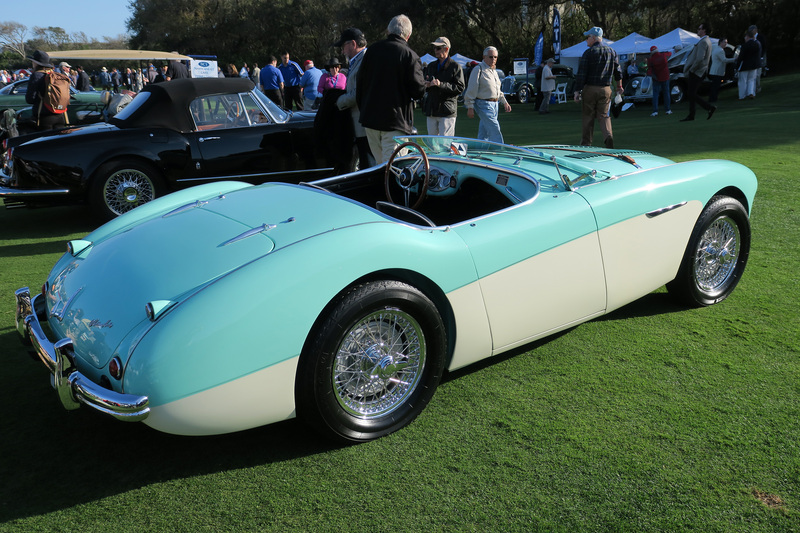 “Despite its immaculate outward appearance, this 1955 Austin-Healey 100 BN2 would not have always appeared so at ease on the concours lawn. 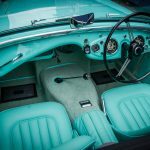 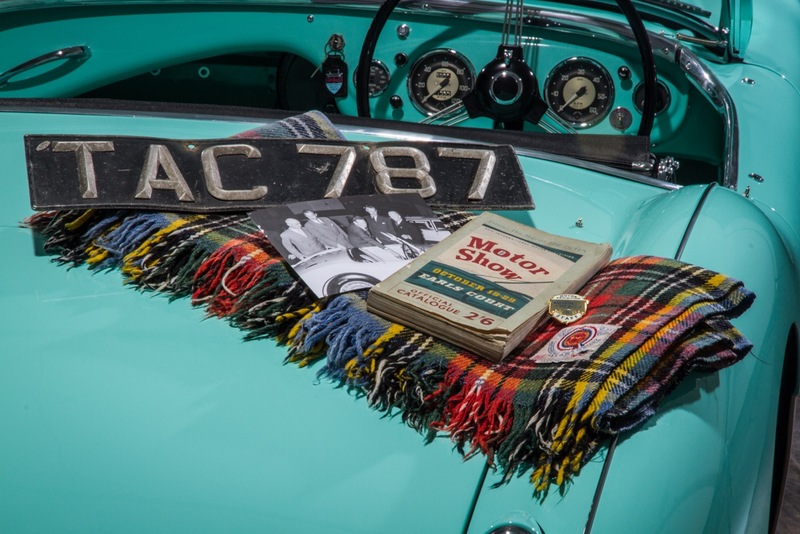 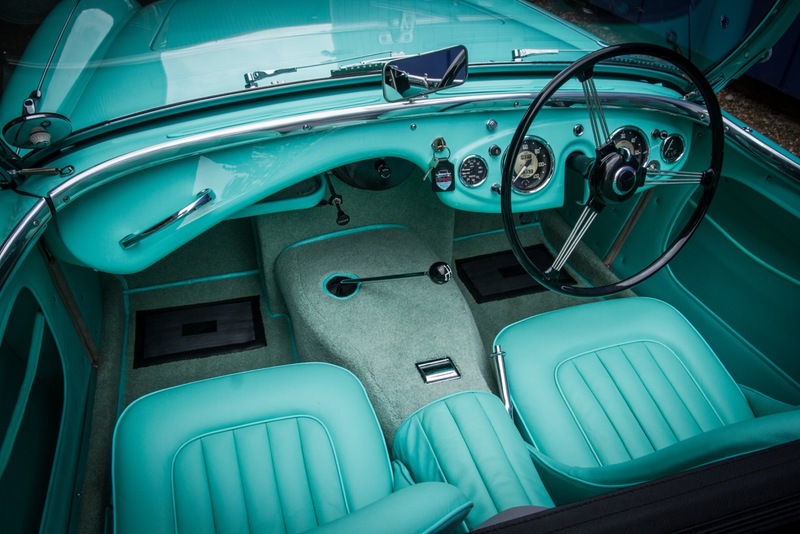 Originally created as one of the show cars for the 1955 Earls Court Motor Show – in customer-attracting Florida Green over Old English White, with Florida Green interior trim and upholstery – TAC 787 was re-discovered in a pretty sorry state. 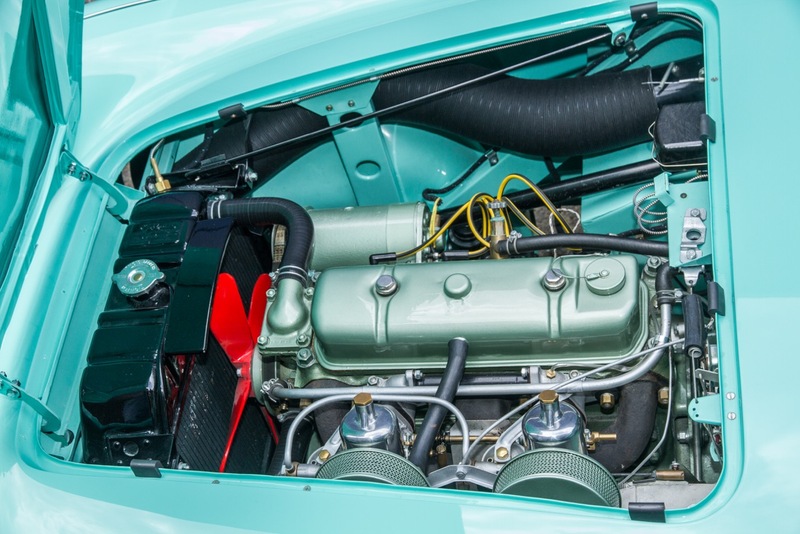 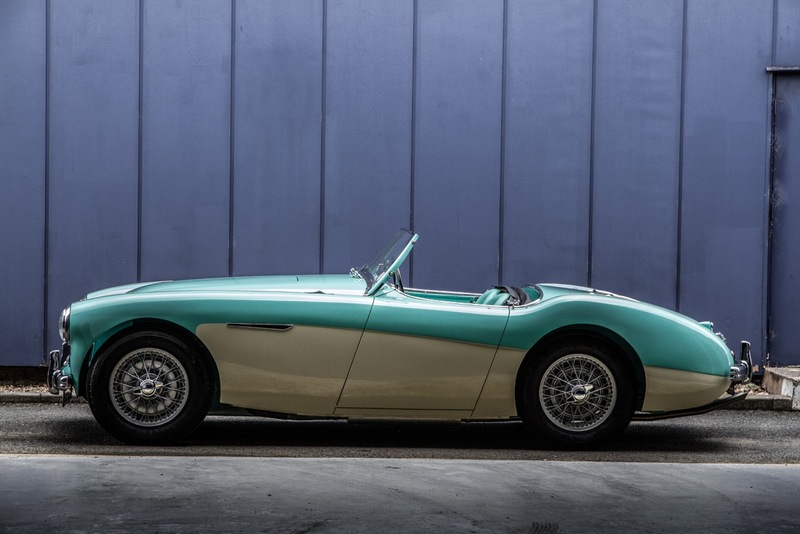 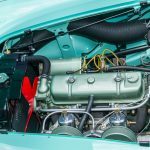 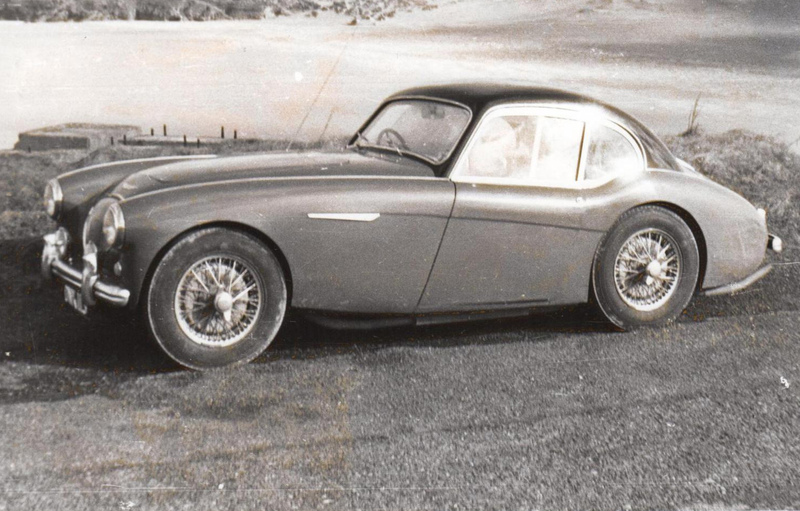 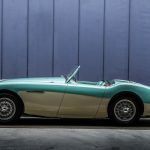 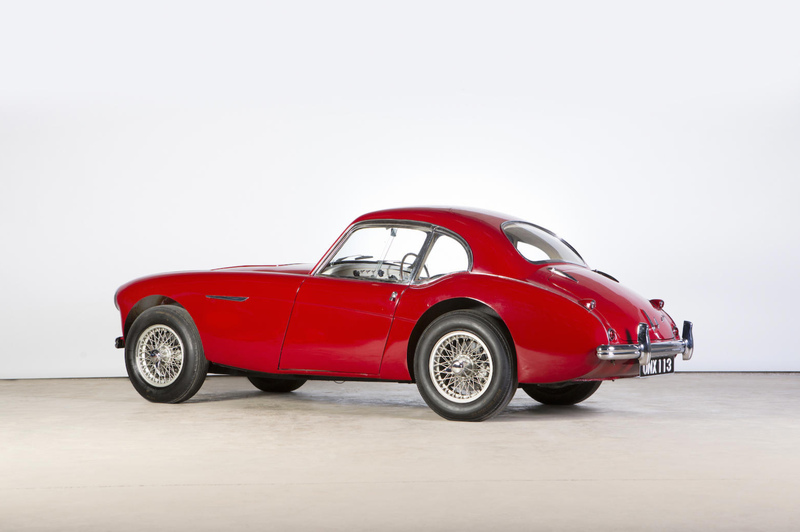 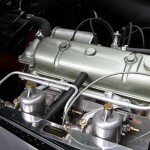 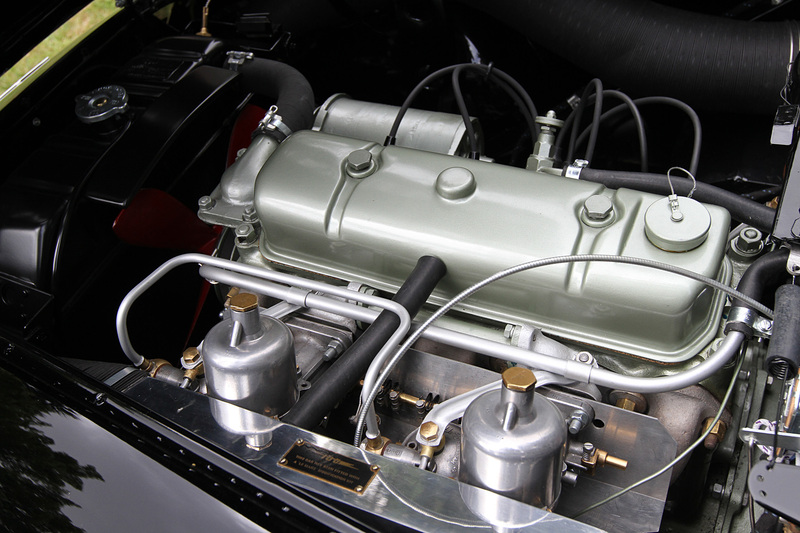 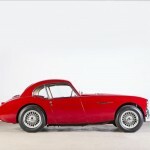 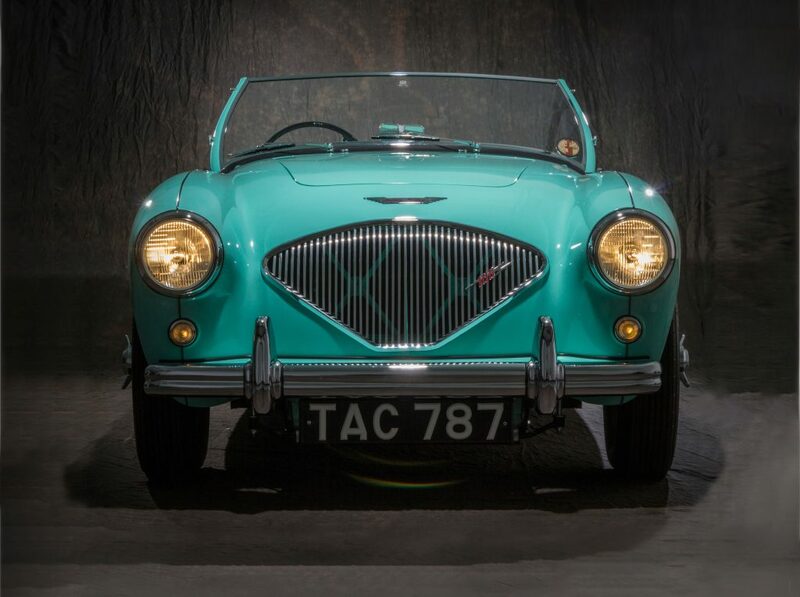 The owner, Steve Norton of Austin-Healey specialists Cape International, has devoted years to amassing information, researching provenance and restoring the car which will be offered at Bonhams Festival of Speed sale at Goodwood on 30 June. 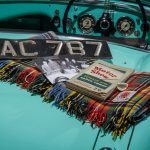 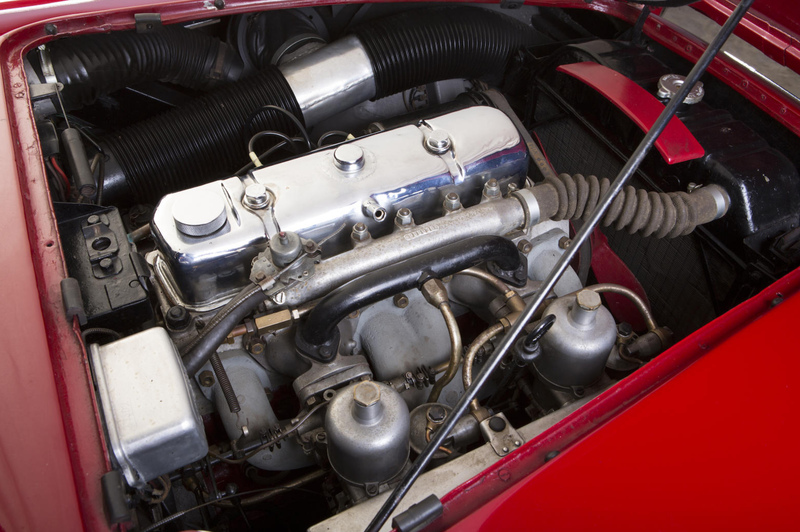 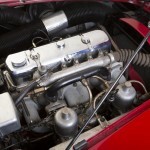 For the first decade of its life, the car’s travels and service history were meticulously documented, and receipts detailing every oil change, engine overhaul and clutch assembly accompany the lot. 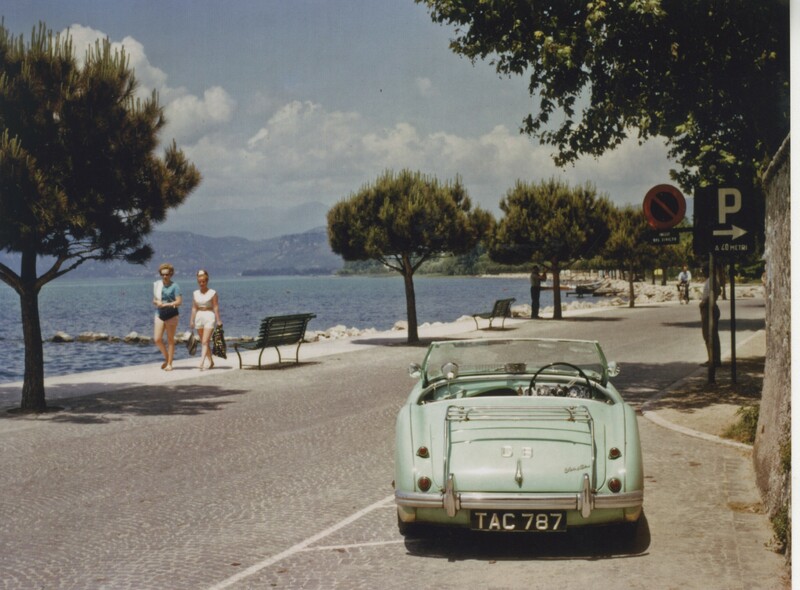 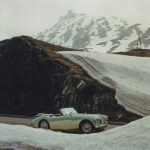 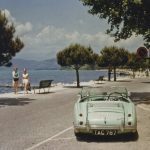 Images of ‘TAC 787’ at Lake Garda in Italy illustrate that the car enjoyed Continental tours during the early 1960s before being sold, via the classifieds in The Times newspaper, to a gentleman in Woking. Despite its immaculate outward appearance, this 1955 Austin-Healey 100 BN2 would not have always appeared so at ease on the concours lawn. 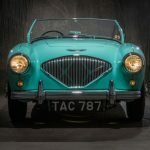 Originally created as one of the show cars for the 1955 Earls Court Motor Show – in customer-attracting Florida Green over Old English White, with Florida Green interior trim and upholstery – TAC 787 was re-discovered in a pretty sorry state. 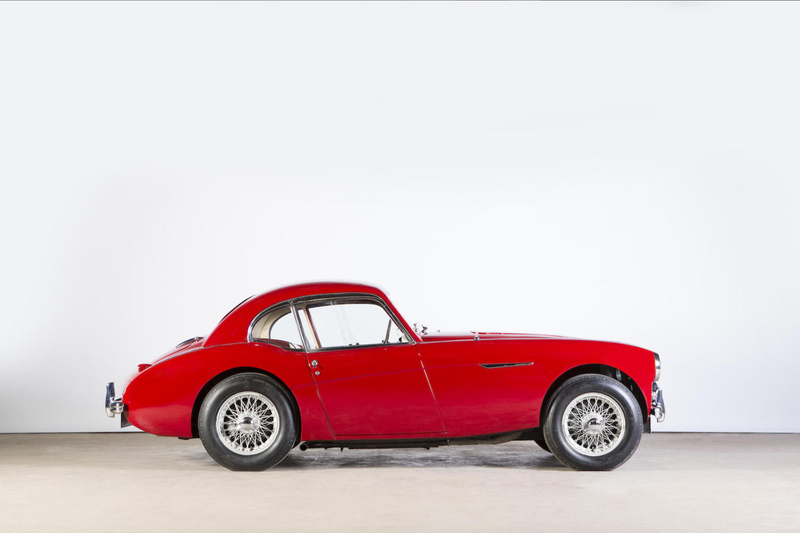 This weekend Bonhams will offer arguably the most desirable Austin-Healey ever produced: Donald Healey’s personal 1953 Austin-Healey 100/’100S’ Coupé at their The Bond Street Motor Car Sale in London. 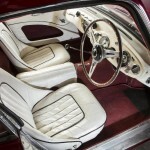 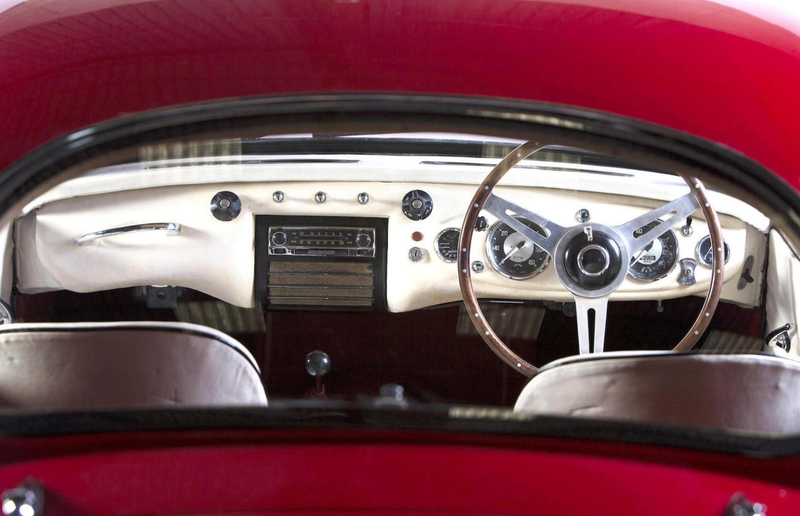 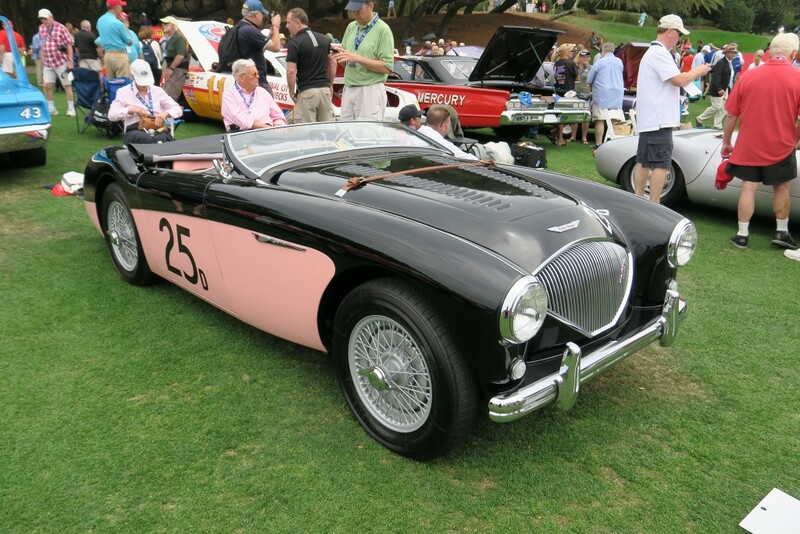 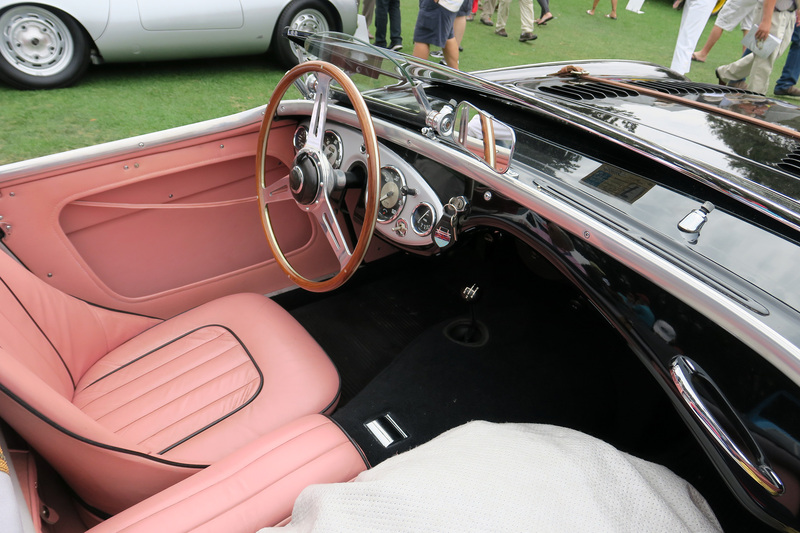 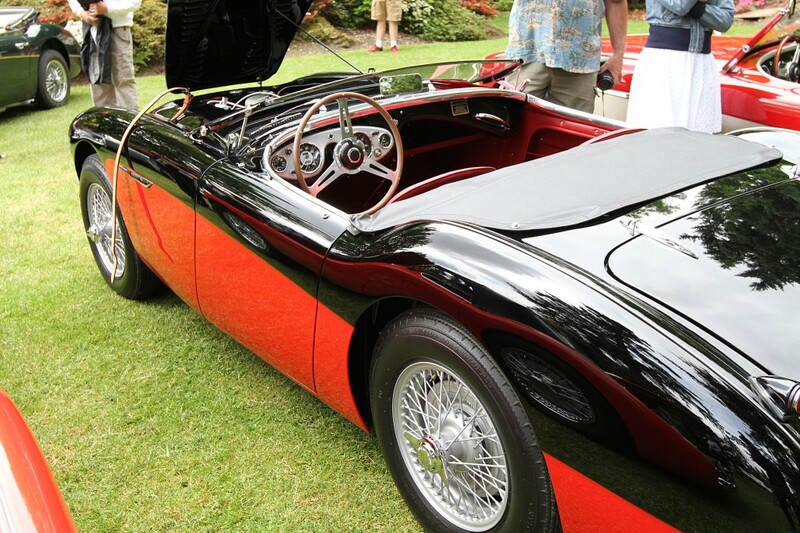 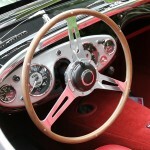 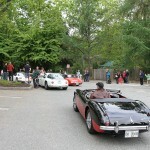 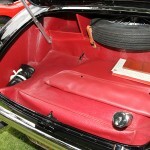 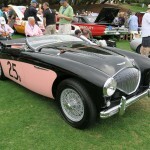 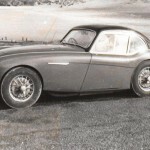 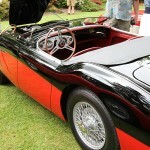 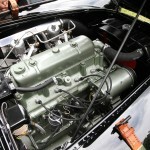 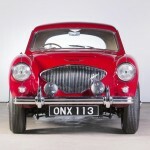 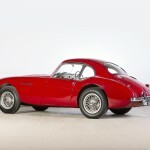 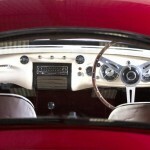 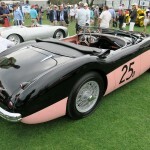 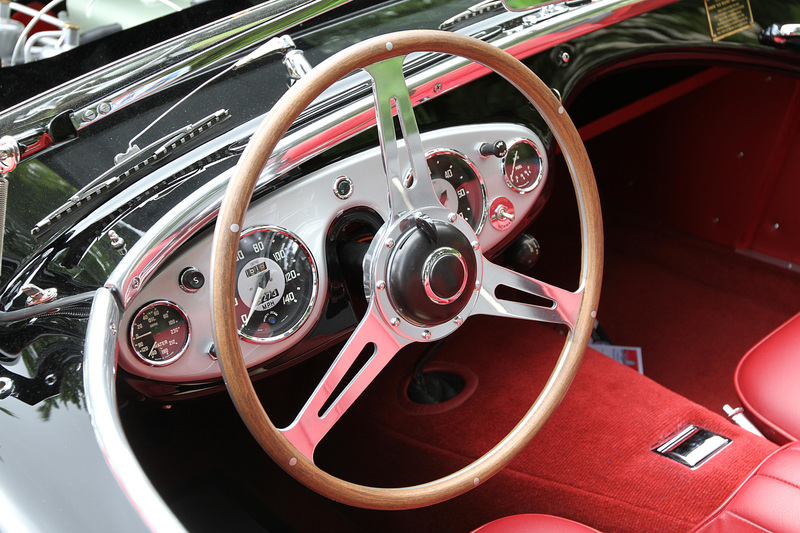 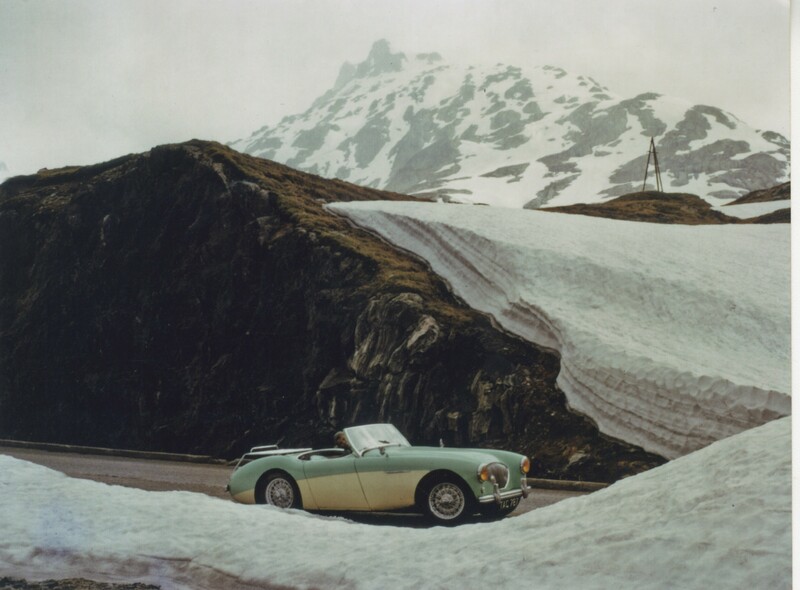 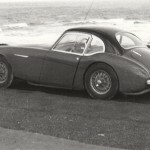 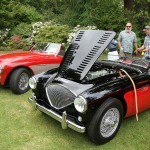 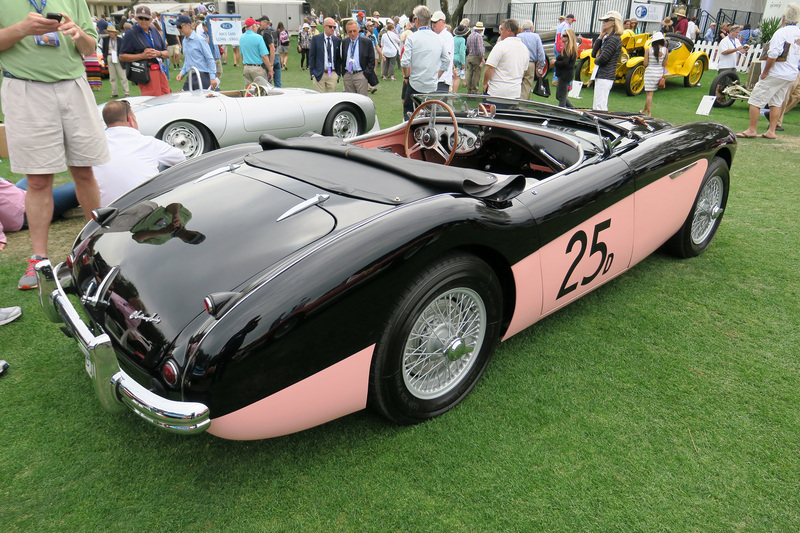 The car was built as a styling exercise executed by Gerry Coker who designed the Austin-Healey 100 and Sprite. 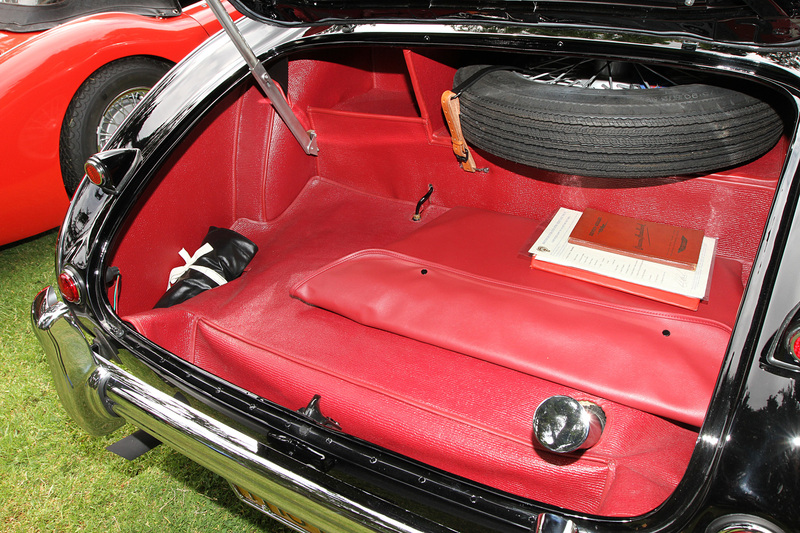 In his own words he added “lift the rear deck to make the hard top more proportionate”. 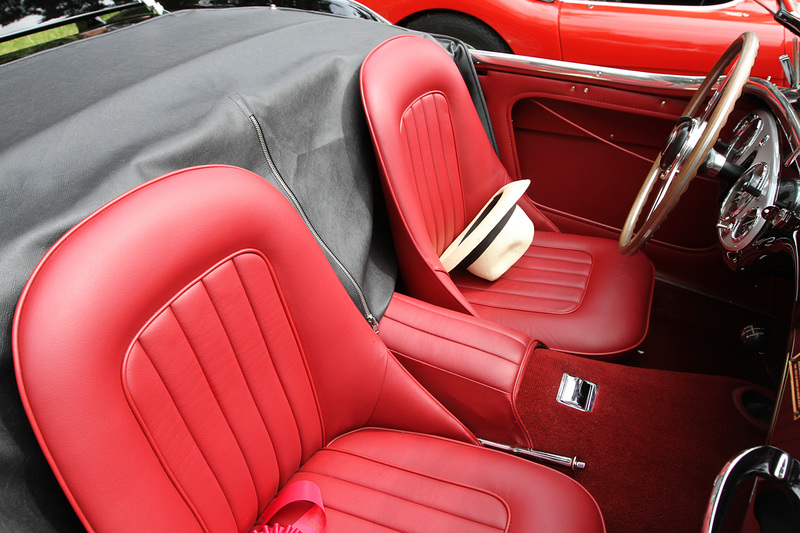 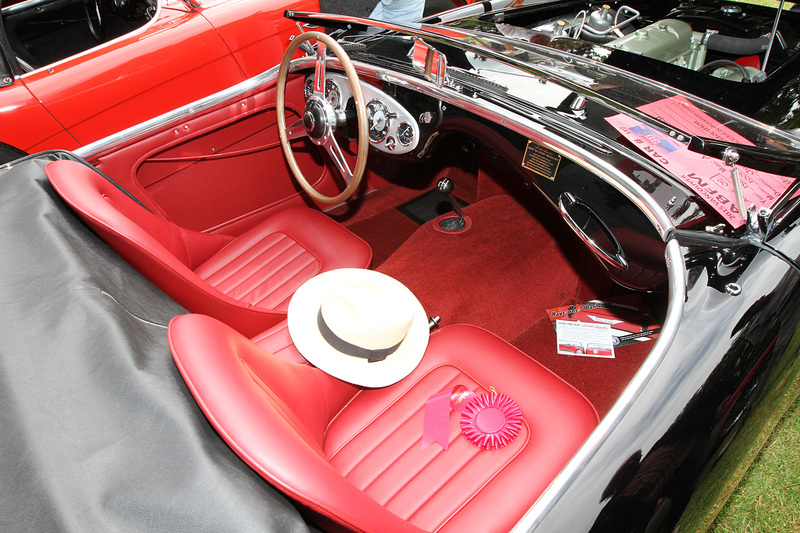 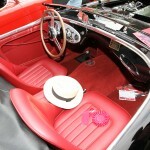 Futhermore he also chose the original color scheme of Carmine Red with a black roof. 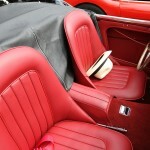 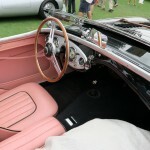 Inside the car recieved a bespoke interior with a central Becker radio and speaker built into the dashboard. 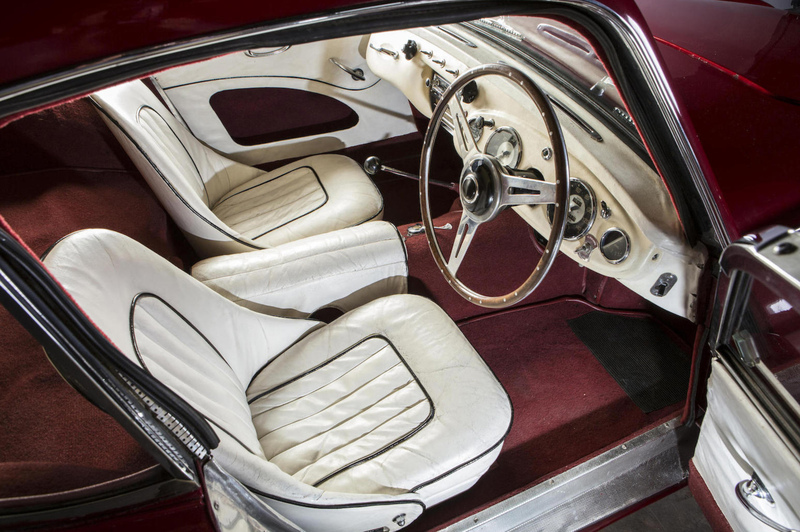 Futher interesting details include rotary A55 heater switches, lockable sliding windows and a locking mechanism for the doors. 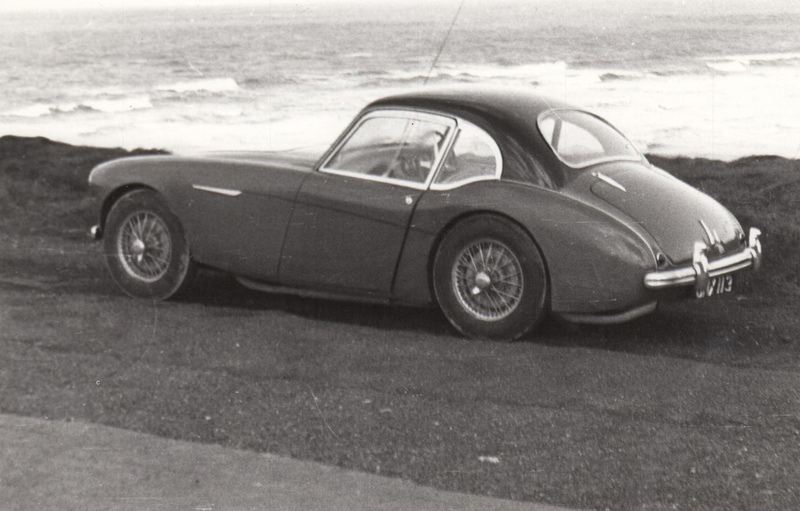 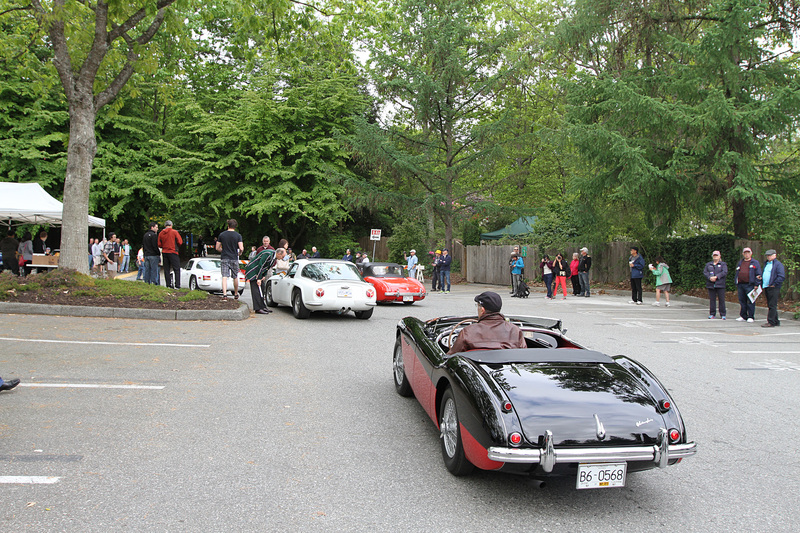 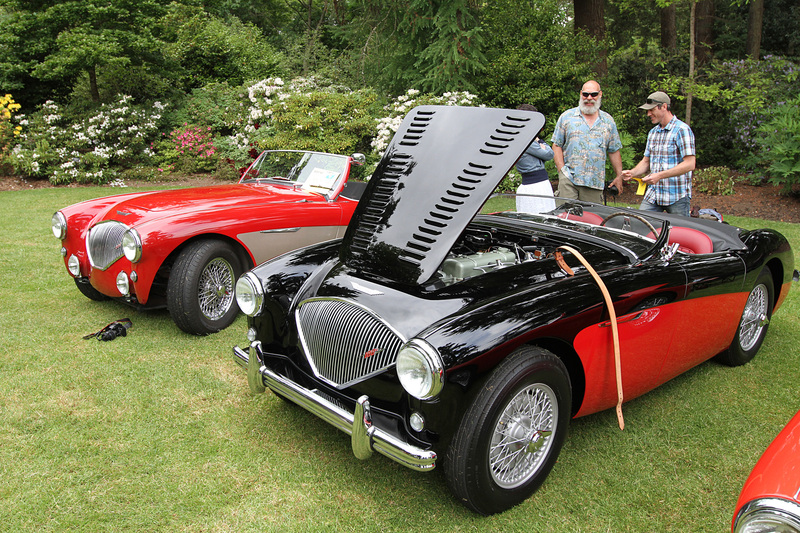 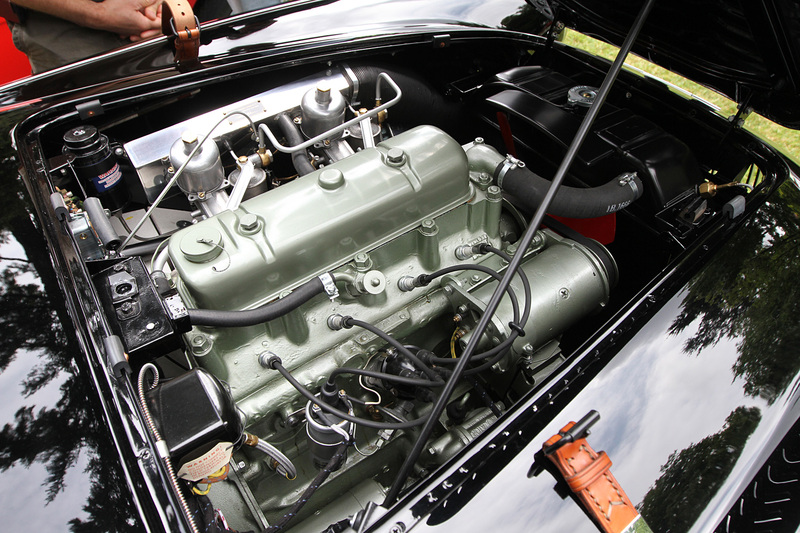 Donald Healey took particular interest in the Coupe. 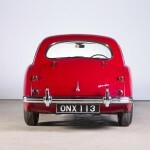 He registered it ‘ONX 113’ and used it as a support vehicle at events like the Mille Miglia. 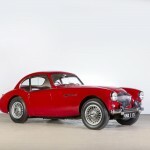 Throughout its life it was upgraded by the factory to 100S specification. 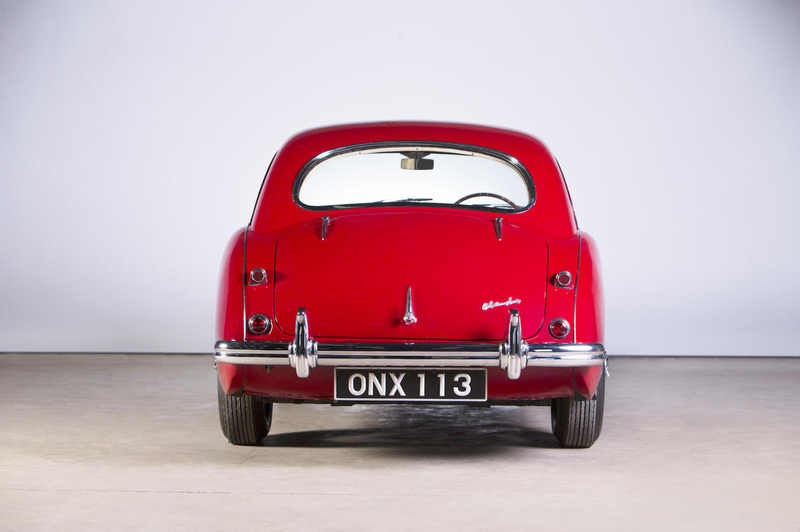 Having being owned by the Arthur Carter collection since 1972, ‘ONX 113’ is in remarkably original condition and totally unsymettric like many of the Healeys we see in the shop. 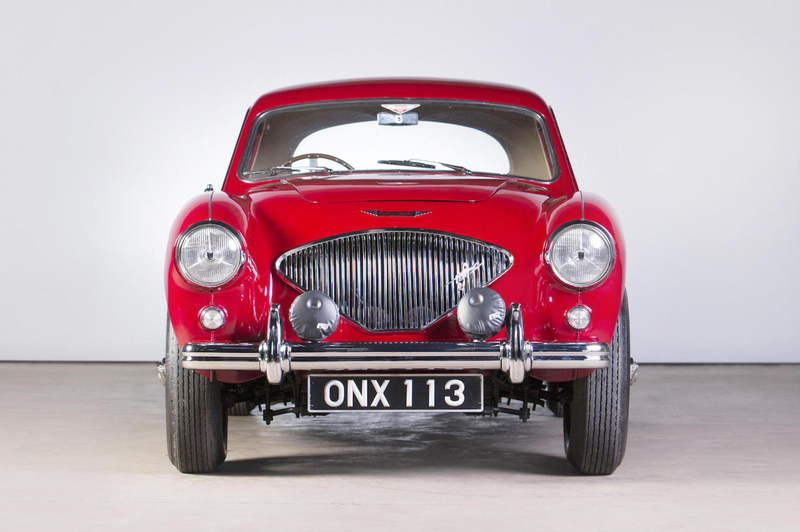 Bonhams will offer ‘ONX 113’ at their upcoming The Bond Street Motor Car Sale on 6 Dec 2015 in London alongside a remarkable collection of British sports cars.